MEDITECH recently introduced MEDITECH Greenfield, our new application development environment supported by RESTful APIs, including FHIR. Greenfield is an open space for customers and third-party developers to create and share applications that drive innovation, increase interoperability, and grow the value of their Expanse EHR. Earlier this year, I wrote a blog that explained how APIs were poised to push interoperability to new heights. I also wrote about the important role of APIs in adopting new technologies and promoting innovation. Today, we are revisiting it to underscore how important Greenfield will be to our customer community, and to increasing connectivity across healthcare. Healthcare IT should always be about the patient. To that end, interoperability is the cornerstone of this patient-first perspective — as an important support mechanism for the timely and effective exchange of information critical for delivering patient care. Of course, some of the push for interoperability is a direct result of regulatory requirements. However, the need for various systems to share information using an industry standard like FHIR is real, and is not limited to what has been mandated by the government. It’s important for systems dealing with patient data to securely interoperate with each other, in order to ensure efficient and effective delivery of care. This secure, access-based, free movement and sharing of data is also important for helping consumers to maintain and manage their health. Consumers are demanding a frictionless care experience, including seamless access to their records. They’ve sparked an industry-wide need for healthcare vendors to adopt cross-system interoperability, and this advanced data exchange can be accomplished through Application Programming Interfaces (APIs). MEDITECH has been and continues to be a recognized leader and key contributor to interoperability initiatives within the healthcare industry. For years we have joined with other vendors in the industry to develop FHIR-based solutions to real-world interoperability challenges. As one of the original and founding members of the Argonaut Project, we are working to shape implementation guides for scheduling, questionnaires, clinical notes and population health use cases. We are also delivering Argonaut-based FHIR APIs within our software. For example, as part of our Meaningful Use 3 software release, we’re providing a set of FHIR APIs that enables patients using 3rd party applications to gain access to their data. In addition, we’ve been a Contributor Member of the CommonWell Health Alliance since 2015. MEDITECH has been working with Change Healthcare to expand the capabilities of the CommonWell services to include retrieval of CCDs from MEDITECH systems using FHIR APIs. In order to put our customers in a position to make use of APIs, we have been hard at work developing a comprehensive framework for creating and publishing RESTful APIs. Since FHIR is based on RESTful API architecture, our framework enables us to develop FHIR APIs for any use case and workflow. This is a big step towards our goal of offering MEDITECH as a platform for App development (both by MEDITECH and 3rd party developers) or for integration with existing apps and systems. We see standards-based APIs and their adoption for interoperability as a game changer for the industry. Its real world impact on patients and providers can already be seen. Incorporating patient-generated health data (PGHD) into EHR data enables providers to track at-risk populations and intervene as soon as there is concern. There is clearly value in sharing information on a patient’s health and wellness. Although important, the benefits of this RESTful API-based architecture and FHIR APIs go well beyond meeting regulatory requirements or app development for a smartphone or tablet. It enables us to easily explore and integrate other interesting technologies such as cognitive computing, smart voice assistants, virtual and augmented reality, etc. At its core, standards-based APIs promote innovation, as well as help providers deliver better care and encourage patients to be well-informed and active participants. All of these are key for securing positive patient outcomes. MEDITECH supports the open exchange of information, FHIR, and patient empowerment. We continue to work with our customers and other entities in this area, and we maintain an active interest in new initiatives and technologies with purposeful use cases. One such initiative was recently announced by Apple, introducing the availability of patient health records within their health app. Apple’s Health Records app uses HL7 FHIR to aggregate patient data within the app, from a patient’s medical record. Taking a consumer-friendly approach, Apple has been working with hospitals, clinics, health institutions, and EHR vendors on this offering. While Apple’s announcement made healthcare headlines, some providers view the news with skepticism. They believe a majority of consumers don’t want to access their medical records, or that patient access to records doesn’t necessarily improve clinical outcomes. Critics also point out that information access would be limited only to users with Apple devices. Moreover, the Apple Health Records app is designed for patients only, and it is unclear if there are provisions for a healthcare proxy to access data. MEDITECH's Patient and Consumer Health Portal addresses both patients and their caregivers, to make them full participants in their care, including access to appointments, medication lists, patient-generated health data, and online bill pay — in addition to giving them access to their health records. In spite of these potential shortcomings, Apple’s effort to aggregate data using standards-based APIs is a step in the right direction. As the industry continues to innovate using FHIR APIs, MEDITECH’s RESTful API infrastructure and interoperability focus will position the company to actively participate and lead such efforts. Want to learn more? 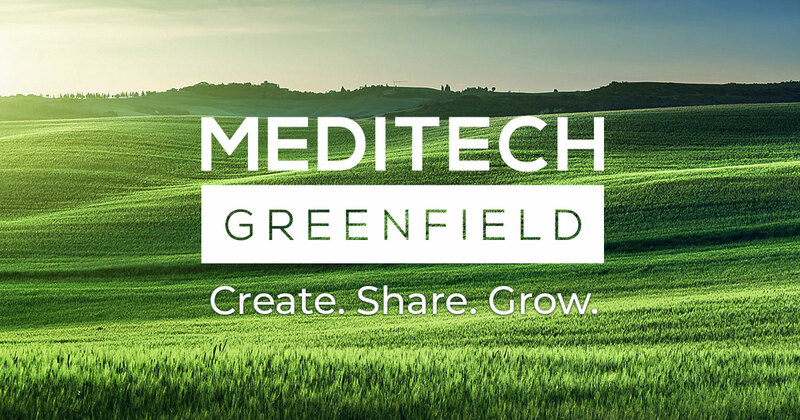 Subscribe to stay connected on the latest MEDITECH Greenfield offerings, tools, and resources. Niraj is responsible for multiple efforts in MEDITECH’s Advanced Technology division, including RESTful API infrastructure and emerging technologies. He also has more than 15 years experience developing advanced clinical applications for physicians and nurses.